WITH THE closed period for slurry spreading due to commence at midnight on 15 October the Health and Safety Executive for Northern Ireland (HSENI) is urging farmers to take extra care when mixing slurry. Mixing slurry can be a dangerous job as the gas is released very quickly, and in large quantities, as soon as the mixing starts. The first 30 minutes are the most dangerous, so it is important to remove all stock from the shed before mixing starts and for farmers to leave the building as soon as the mixing starts. It is also vitally important to stay out of the shed for at least 30 minutes after the mixing starts. Malcolm Downey, who heads up the farm safety team at HSENI, appeals to farmers mixing slurry before the commencement of the closed period. Mr Downey said, “Do not take any chances when mixing slurry, your life may depend on it. 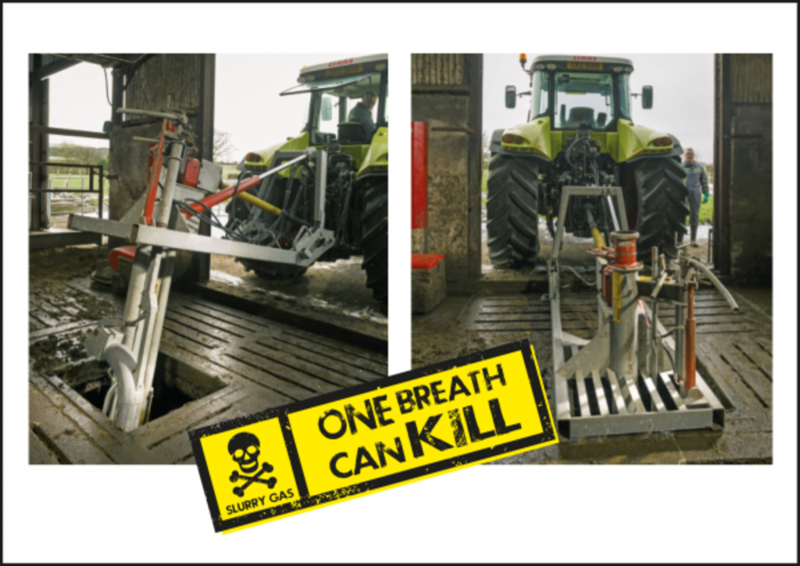 Stop and think about the entire job ahead and ensure you follow the slurry mixing code.